Why so many used Olympus 40-150 2.8s for sale? Just an observation, that at present MPB.com has 23 for sale. Normally this kind of level would signify that the lens is not very good, and while the bokeh can be a little bit twitchy, I have also seen some lovely images and many people saying how great this lens is. A 2.8 of this range is a bargain for this money. Re: Why so many used Olympus 40-150 2.8s for sale? Loss = “a form of rent”? Because the 40-150 f4 kit lens can do a reasonable job. Re: Because the 40-150 f4 kit lens can do a reasonable job. 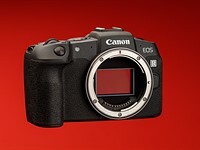 Sales to fund purchase of E-M1x? Re: Only 5 not 23 Oly 40-150 Pro Lenses! Only five used Olympus 40-150 2.8s for sale?